Broadwoodwidger,Devon,August 2014. 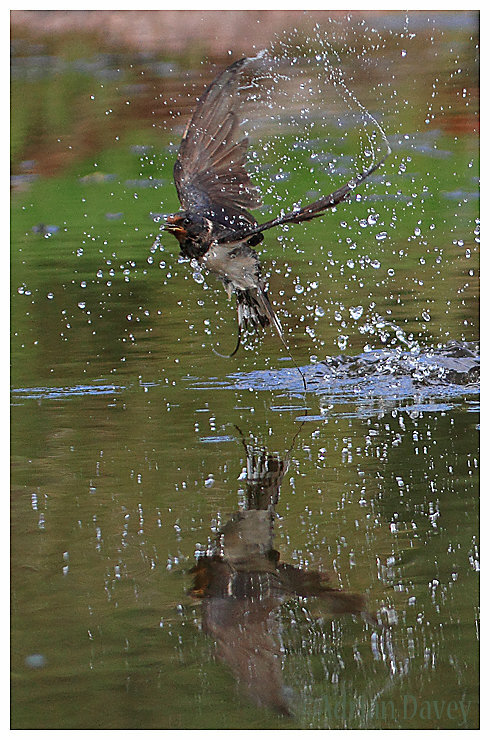 Taken at my pond.I spent some time trying to photograph Swallows coming in to drink. my best effort to date ,but very frustrating as no quite sharp enough . (if it was I think it could have been a winner) never mind.